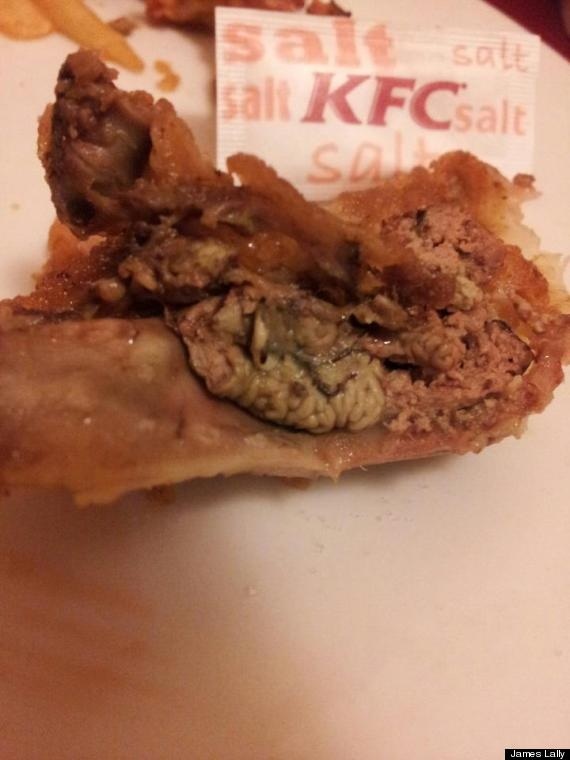 KFC Chicken Meals Contained Wrinkled Kidney "Brain"
KFC Chicken Meals disgusted James Lally as he got the surprise of his life when he bought a variety meal from KFC and found a wrinkled kidney and “almost a complete spine” hidden in the KFC original recipe piece. He bought the KFC chicken meals for himself and his girlfriend at the London Road restaurant in Brighton. The 22-year-old’s girlfriend made the gruesome discovery after she already had eaten most of the chicken. 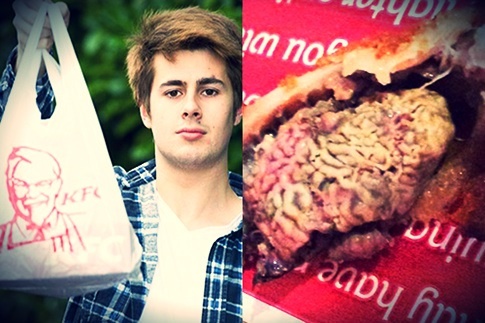 Lally is not the first student to find foreign bodies in his KFC chicken meals. In January another student found what he thought was a “wrinkled brain” in his value meal. That 3 inch organ was later confirmed by KFC staff to have been a kidney. Dog Shows His ‘Mean Face’ But Don’t Let The Looks Fool You!